In case you’re still not sure about the viability of the Internet of Things (IoT) as a business concept, some new findings from research firm International Data Corp. (IDC)—predicting significant growth for the market in the coming years—should be convincing. In addition to a rise in investments in IoT products and services, the IDC research describes how software and services will play a major role in the success of IoT. According to the IDC study, worldwide spending on the IoT is forecast to reach $772.5 billion in 2018. That represents an increase of 15% over the $674 billion that will be spent on IoT in 2017. The new update to the firm’s Worldwide Semiannual Internet of Things Spending Guide forecasts worldwide IoT spending to sustain a compound annual growth rate (CAGR) of 14% through the 2017-2021 forecast period, surpassing the $1 trillion mark in 2020 and reaching $1.1 trillion in 2021. IDC says IoT hardware will be the biggest technology category in 2018, with $239 billion going largely toward modules and sensors, along with some spending on infrastructure and security. IoT-related services will be the second largest technology category, followed by software and connectivity. Software spending will be led by application software along with analytics software, IoT platforms and security software. Software will also be the fastest growing technology segment for IoT, IDC says, with a five-year CAGR of 16%. This should come as no surprise, because once data has been ingested from IoT sensors, stored and employed by its primary application, a rich and evolving secondary IoT software ecosystem is expected to develop to deliver advanced analytic insight, partner ecosystem exposure of insight and innovative partner ecosystem applications. This is especially true in verticals (such as manufacturing, transportation, healthcare and energy) where IoT-based solutions often involve collaboration across partner ecosystems. These IoT application ecosystems are likely to deliver the highest long-term value for organizations. Services spending will also grow at a faster rate than overall IoT investment, with a CAGR of 15%, and will nearly equal IoT hardware spending by the end of the forecast period. 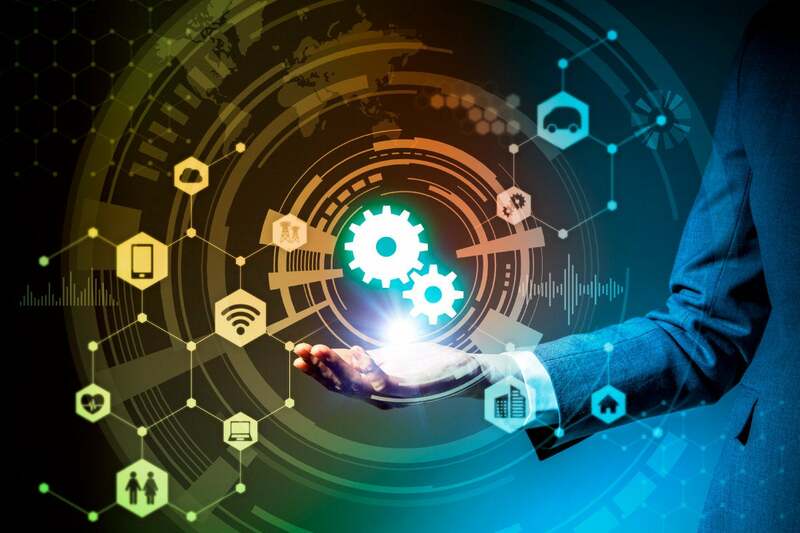 By 2021, more than half of spending on IoT projects will be for software and services, notes Carrie MacGillivray, vice president for Internet of Things and mobility at IDC. This is directly in line with results from IDC’s 2017 Global IoT Decision Maker Survey, in which organizations indicated that software and services are the key areas of focused investment for their IoT projects, she says. "Software creates the foundation upon which IoT applications and use cases can be realized,” MacGillivray says. “However, it is the services that help bring all the technology elements together to create a comprehensive solution that will benefit organizations and help them achieve a quicker time to value." The industries that are expected to spend the most on IoT technologies in 2018 are manufacturing ($189 billion), transportation ($85 billion), and utilities ($73 billion). IoT spending among manufacturers will be largely focused on tools that support manufacturing operations and production asset management. In the transportation sector, two thirds of IoT spending will go toward freight monitoring, followed by fleet management. And IoT spending in the utilities industry will be dominated by smart grids for electricity, gas, and water, the report says. Cross-industry IoT spending, which includes use cases that are common to all industries, such as connected vehicles and smart buildings, will total nearly $92 billion in 2018 and rank among the top areas of spending throughout the five-year forecast. IoT will also reach heavily into the consumer market. Consumer IoT spending will total $62 billion in 2018, making it the fourth largest industry segment, according to IDC. The leading consumer use cases will be related to the smart home, including home automation, security, and smart appliances, says Marcus Torchia, research director, Customer Insights & Analysis at IDC. Smart appliances will experience strong spending growth over the five-year forecast period and will help to make the consumer market the fastest growing industry segment, with an overall CAGR of 21%, Torchia. As for IoT growth by geographic region, Asia/Pacific (excluding Japan) will be the region with the most IoT spending in 2018, with $312 billion. That’s followed by North America (United States and Canada) at $203 billion and Europe, the Middle East, and Africa at $171 billion. China will be the country with the largest IoT spending total in 2018 ($209 billion), IDC says, driven by investments from manufacturing, utilities, and government. IoT spending in the United States will total $194 billion in 2018, led by manufacturing, transportation, and the consumer segment. Japan ($68 billion) and Korea ($29 billion) will be the third and fourth largest countries in 2018, with IoT spending largely driven by the manufacturing industry. Latin America will deliver the fastest overall growth in IoT spending, with a five-year CAGR of 28.3%. What’s clear from the IDC research is that IoT will continue to grow dramatically over the coming years—powering the digital transformation of enterprises and creating opportunities for technology vendors properly positioned to exploit this growth. Any companies still sitting on the fence regarding the Internet of Things should take note. Dean Hamilton is an engineer, serial entrepreneur and technology executive with over 30 years of innovation experience.